Low Power Mode will still make your iPhone 6 more powerful than the 5c. It’s no surprise that the iPhone 6 and iPhone 5s are significantly faster than the iPhone 5c. Yet, even with iOS 9’s Low Power Mode turned on, the newer phones still manage to make long strides over that plastic (yet colorful) contraption. Geekbench released an update to its app today, adding support for iOS 9. Even though iOS 9 is still in beta, the new tools have already revealed some surprising facts about the iPhone 6. Upon running benchmarks on an iPhone 5c and iPhone 6 in low power mode, the tools show that the iPhone 6 is still more powerful that the 5c. 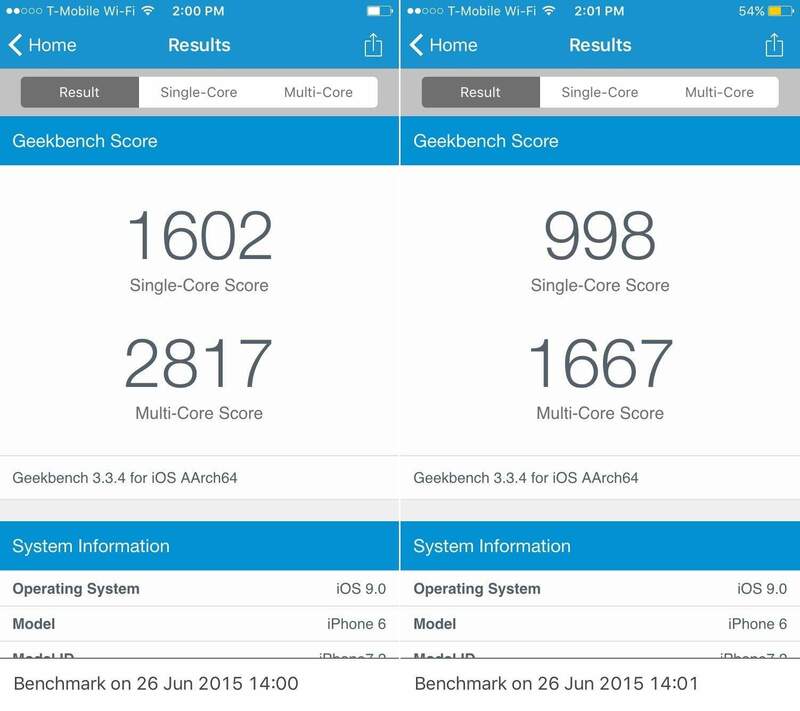 We ran the Geekbench performance benchmark on an iPhone 6 running iOS 9 beta 2 and got a single-score of 1602 and multi-core score of 2817. Then, after turning on Low Power Mode, I ran the same benchmark again. This time, the score was only 998 for single-core and 1667 for multi-core (higher is better). Notice that the multi-core score on Low Power Mode is almost the same as the single-core score during standard usage. Low Power Mode is supposed to take the entire system down a notch so you have longer battery life (in addition turning off a few power-sucking features like Background App Refresh). The lower scores may look like a downer, but just compare them to the iPhone 5c and you’ll find that you’re using a device that’s still more powerful than Apple’s two-year old device. 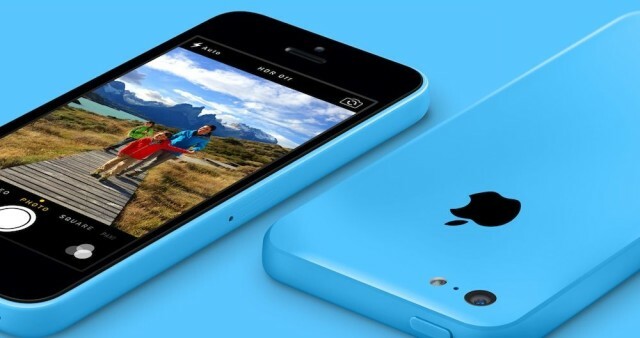 Geekbench tests show a single-core score of just 687 for the iPhone 5c. Only the iPhone 5c’s multi-core score of 1242 is faster than the iPhone 6’s single-core score in Low Power Mode.MacRumors ran the Geekbench benchmarks on an iPhone 6 Plus and got almost identical results: 1606 in regular mode and 1019 in Low Power Mode. In Low Power Mode, Apple is clearly prioritizing making the most out of that last bit of power over browsing the web at lightning speed. Ultimately, whether the performance difference matters is entirely your call when that battery meter turns red.